Some of the best short films of all time are not necessarily the most known films out there. Why? Many people look towards shorter films as more "artsy" than popular and as a result, these non-feature films generally do not fall onto the radar of the masses. Short films clock in under 40 minutes and are generally more condensed than the longer films many of us are used to. However, this time limitation allows these shorts to do some really unique things -- much to the movie buff's pleasure! In the 1920's, short films really came to the forefront. 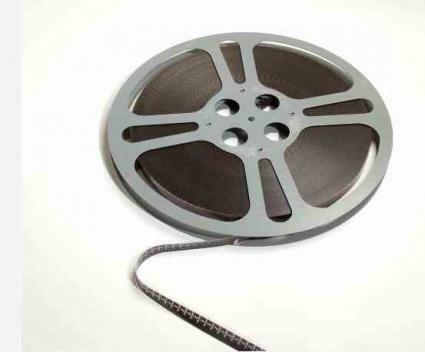 Several shorter films would be bundled together and shown at the movies for the price of one ticket or would lead into a full length feature. During this era, many of the films by popular silent stars like funny movie man Charlie Chaplin really came to light. This trend continued into the 1950's. However, with the rise of television and more affluent movie studios, the short film stopped being of mention to the average consumer's eye. Short film greats like the Three Stooges were a part of the last significant boost of pop short films until the Pixar animation studio began to feature small films prior to their movie features in the 2000's. Abroad, short films are often used to fill time holes in programming. Short films are also still the choice for budding cinematographers or filmakers for their affordability and small time arc. While most of us head out to the movies for the hottest features and best reviewed movies out there, those who love short films are attracted to something entirely different. For them, the idea of cinema is both architectural and elaborate. Many short movies are filmed without the efforts of large movie houses, funds, crew or equipment. They are very organic and tend to stray very little from the director's original intentions for the film. The smaller plots of time often force movie makers to use more elaborate means of putting together a film. There is also not the high box office hope in the world of small cinema that there is in feature films. Many short films are instead resolved to the Internet, such as those on Pixar's website or on The Smalls. While short films might not be the most popular type of cinema anymore, that doesn't mean that they are devoid of value. One of the most uplifting parts about these type of movies is that their length is just short enough to hold our attention span. Short films, like those sometimes found on YouTube, exist largely for the enjoyment of the audience. Lucky for the audience!